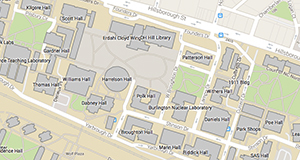 Department seminars are held on Mondays at 11:15 am (Entomology) in Thomas Hall in the Stephens Room and Wednesdays at 9:30 am (Plant Pathology) in the Toxicology Building, Rm. 2104, unless noted otherwise. Refreshments are served 15 minutes prior in the adjoining lobby. Regular seminars run weekly (except for holidays) during the Fall and Spring semesters.